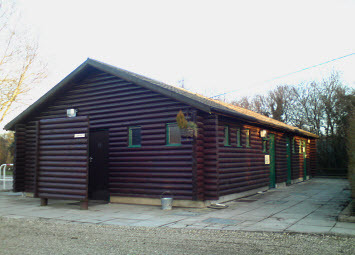 Blackland Lakes has two amenity buildings which are referred to as Block 1 and Block 2. Block 1, nearest to the site entrance is centrally heated for all year round use. It has separate Ladies and Gents areas. Additionally it has a Mother and Baby/private washroom, a Laundry room equipped with a Washing Machine and a Tumble Dryer. There is a Belfast sink for hand washing items. General washing up sinks with plenty of hot water are also included. There is a separate chemical toilet disposal point to the rear of Block 1. Block 2 is situated at the lower end of the site is a semi unisex unit comprising 2 exclusive gents areas (washing and urinals). At the opposite end is the exclusive ladies washing room adjacent to which is a Mother and Baby/Private shower/washroom. For M and B facilities, there is a refundable deposit of 5.00 pounds for a key to access them. These keys can be obtained from Reception. Please note the M and B/ private washroom facilities include a shower not a bath. The central area of Block 2 is unisex and comprises 10 toilets and 6 showers for the use of Ladies and Gents. Separately, there is a chemical disposal unit and an undercover area with washing up sinks. Block 2 is closed during the winter months but Block 1 remains open all year round. 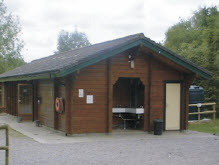 Near the main entrance is the Reception Log Cabin which also houses the Campsite Shop. 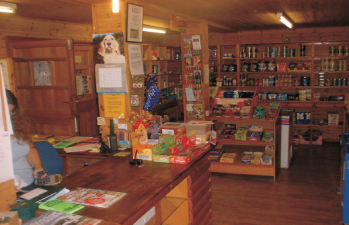 This is well stocked with essential food items, drinks, snacks and ice creams. It is also licensed to sell alcohol. We do stock some items of camping equipment too (handy if you forget your tent pegs) We have a small tourist information section with leaflets on local attractions, events and things to see and do. 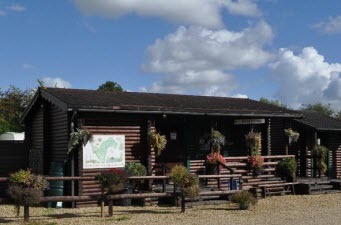 From here, you can pick up menus for the local take away restaurants that will deliver orders to the campsite,as well as find out about the local pubs and eateries. For motorhomes and campervans there is a designated dump station for grey water. We look forward to welcoming you to Blackland Lakes Campsite.